Dogs are a man’s best friend for a reason and the benefits of spending time with them are endless. Watch these dog lovers share how much happier and fun their lives have become since joining BorrowMyDoggy and read through to learn about the physical and emotional benefits of spending time with a dog. Spending just 15-30 minutes with a lovable dog can leave you feeling more relaxed and calm and relieve everyday stress. Overall, “spending time with a dog can make you a happier person.” - Psychologies Magazine. Dogs’ enthusiasm and happiness for exercise is contagious and just when you think you’ve hit your workout peak, a sudden squirrel sighting will push you through that last sprint. In this videos, members share how they're healthier and more active since joining BorrowMyDoggy. Even if you prefer walking, many dog owners admit they wouldn’t walk as often if they didn’t have a dog wanting a walk. So whether you own or borrow a dog, you’ll end up walking on average an extra hour a day compared to people without dogs. Not only do people become more sociable when they have a dog in their life, but they also become less shy. 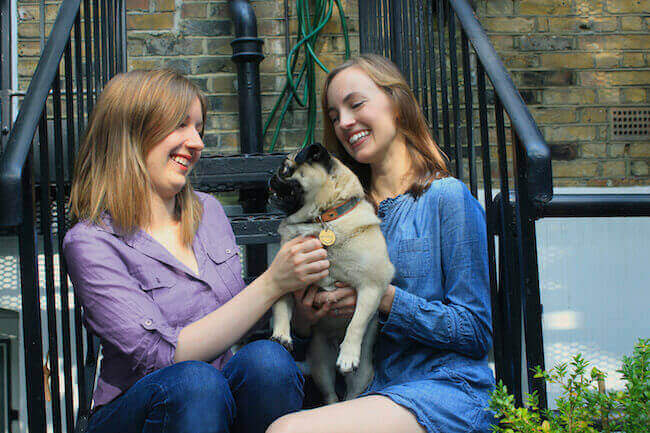 Nearly half of BorrowMyDoggy members join to make new friends and be part of a local dog-loving community and whenever we speak with borrowers and owners, they always share that getting to know their matches is like meeting new friends. There are lots of people who’d love to spend time with a dog, but cannot currently own one of their own for various reasons such as living space, time commitment and financial reasons. By becoming a BorrowMyDoggy borrower, dog lovers can help out in lots of ways, including local dog walking, hosting a dog in their home or giving a dog an afternoon of extra cuddles. What’s more, the borrowers can enjoy all the wonderful benefits of spending time with a dog. Whether you own a dog or are simply a dog lover, why not sign up and begin messaging pawtential matches to leave ‘Pawprints of Happiness’ on the lives of dogs and humans.